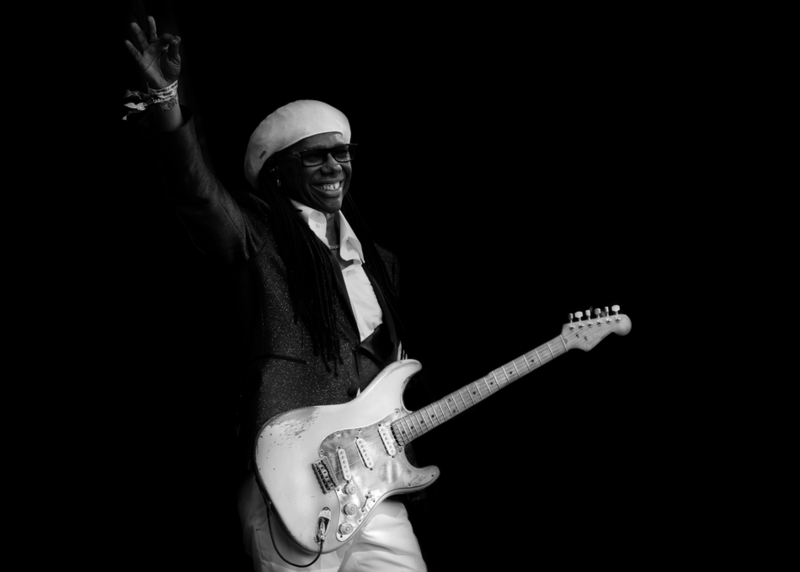 Among music legends, Nile Rodgers is truly exceptional. He amplifies his legacy as a multiple GRAMMY-winning composer, producer, arranger and guitarist by constantly traversing new musical terrain and successfully expanding the boundaries of popular music. A recent Rock'N'Roll Hall of Fame inductee and co-founder of CHIC, Rodgers pioneered a musical language that generated chart-topping hits like “Le Freak,” sparked the advent of hip-hop with “Good Times". Additionally, his work in the CHIC Organization and his productions for artists like David Bowie, Diana Ross and Madonna have sold over 300 million albums and 50 million singles worldwide while his innovative, trendsetting collaborations with Daft Punk, Avicii, Sigala, Disclosure and Sam Smith reflect the vanguard of contemporary music. ​This special event with Nile will be hosted by the highly respected BBC2 Radio Presenter, Jo Whiley. Jo is one of the BBC’s most treasured presenters, and in 2018 she celebrates her 25th year broadcasting for the BBC. In her current home at BBC Radio 2 Jo champions new music as well as celebrating those musical icons from across the decades. In May this year she will become the first woman to present a daytime show on BBC Radio 2 in 20 years. This special seminar will also include a selection of video clips from Nile's recent critically acclaimed three-part BBC4-TV Music Special "How To Make It In the Music Business". A portion of the hour will also be dedicated to questions from the audience.